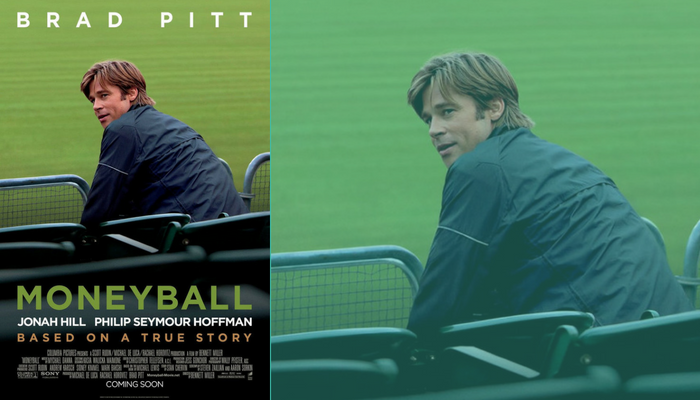 In the 2011 movie Moneyball, Brad Pitt plays Billy Beane, real-life General Manager of the Oakland Athletics, a small-market Major League Baseball (MLB) franchise. The movie — based on the book of the same name — follows Beane’s revolutionary use of “sabermetrics” to assemble a team that could compete with richer ball clubs, despite operating with a significantly lower payroll. Call it David’s plan to topple Goliath. Rather than rely on the handful of archaic statistics used by baseball traditionalists for decades, Beane took a more nuanced and analytical approach to gauging player performance — finding value where no one before him had thought to look. What does all this have to do with accounts payable (AP), you ask? Based on recent survey results, it seems that the world of AP invoicing could learn some valuable lessons on analytics from the world of sports. Undoubtedly, a lot of cash-strapped companies already feel as though they’ve done everything in their power to minimize costs and maximize efficiency (e.g., reducing staff, adopting lean practices, implementing e-invoicing tools, etc.). This may be true to some extent, but results from a study by the Institute of Finance & Management, Visibility Into the Accounts Payable Process, indicate there’s still value being left on the table. The survey, which received 129 respondents, found that most AP departments continue to use antiquated tools and techniques to track their key performance indicators (KPIs). Out of the AP professionals who responded, a whopping 66% said they track KPIs using Excel spreadsheets, while more than one-quarter rely on whiteboards, checklists and email trails. Over 41% of respondents have no plans to implement a dashboard tool at this time. Nearly 18% of respondents cited resistance to changing established processes as one of the main barriers to deploying new software solutions, while 14% cited cultural unwillingness to test new software. Outdated strategies. Lack of forward thinking. Resistance to change. Sound familiar? Much like the pre-Billy Bean era of MLB, a lot of AP decision-makers are clinging to intuition and old-school ways of thinking. In other words, they simply don’t know what they don’t know — and it’s dulling their competitive edge. Just like the use of statistics in baseball, the use of KPIs in AP is an effective way to measure performance and take “gut feeling” out of important decision-making processes. But doing it right means using the right tools. Increasingly, it’s becoming clear that AP dashboards might just be the ideal, complementary tool to make every action smarter and more strategic. Let’s face it. Your AP department isn’t as exciting as a MLB team, and no one is ever going to make a movie about AP analytics. But if Billy Beane’s story teaches us anything, it’s that it pays challenge the status quo and re-examine established practices. After all, gaining a competitive edge has never been a spectator sport. Want to learn more about measuring and reporting on accounts payable analytics? Download the eBook, 5 Accounts Payable KPIs Worth Tracking, and discover how to maximize results with real-time analytics and dashboards. Accountancy functions are not the fastest to adapt, and Excel spreadsheets are sort of hardwired into the minds of the senior finance guys. That said the idea of a dashboard is a real winner so non-financial professionals in particular can see at a glance what is going on.